Grassy Waters Preserve South parking and Nature Center; 8264 Northlake Boulevard, on the south side of Northlake, 4 miles west of I-95. 45th Street and Solid Waste Authority parking; entrances are located on 45th street west of the intersection of 45th st and jog road, and through the Solid Authority facility on the west side of Jog Road between 45th street and Beeline Highway. 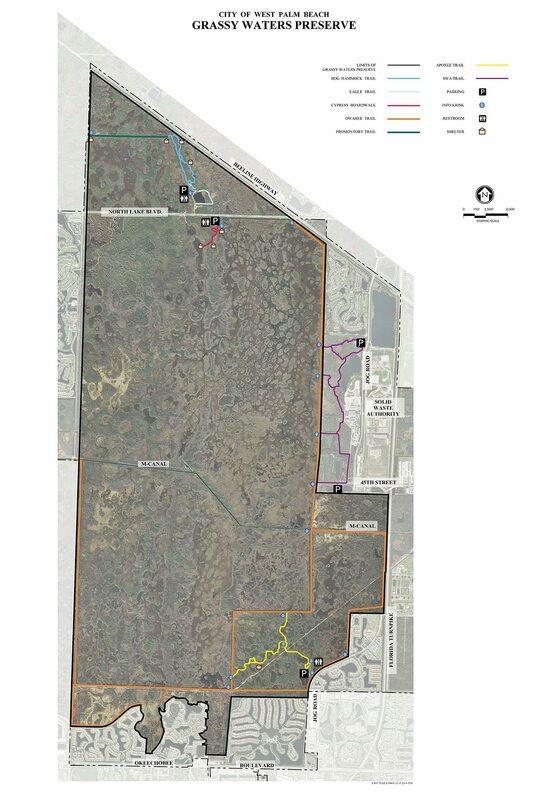 THE SWA TRAIL MARKED IN PURPLE ARE NOT PART OF THE PRESERVE.